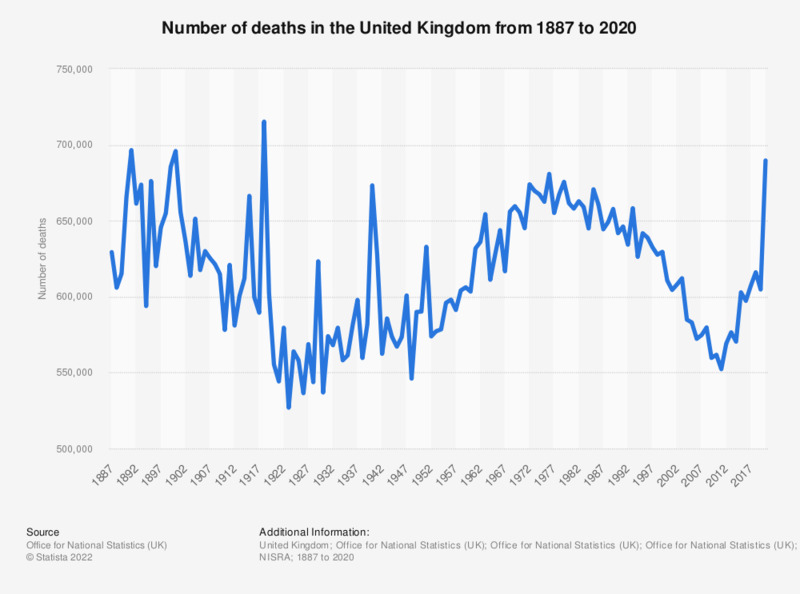 This statistic shows the number of deaths in the United Kingdom from 2000 to 2017. The overall trend is one of decrease, however there was some fluctuation during this time period. Most notably in the latest figures from 2011 to 2014, the number of deaths increased each year before falling in 2014 for the first time since 2011. In the last years, particularly in 2017, it increased again and amounted to approximately 607 thousand.